Teeth Whitening is a simple non-invasive dental treatment used to improve the colour of natural tooth enamel and can be the ideal way to enhance the beauty of your smile. While there are many teeth whitening products on the market, only a dentist can assess a person’s suitability for whitening treatment and get your teeth to their whitest. When you make a teeth whitening appointment the dentist will check for a number of things to assess whether tooth whitening is suitable for you. At Dentessence we offer two types of whitening treatments; in-chair Zoom Teeth Whitening and Take-Home Teeth Whitening. Our dentists can discuss with you options that are suitable to you. Zoom teeth whitening is an effective, fast, in-chair teeth whitening system that can get your teeth several shades whiter in just one hour.The procedure begins with a short preparation to cover the lips and gums, leaving only the teeth exposed. 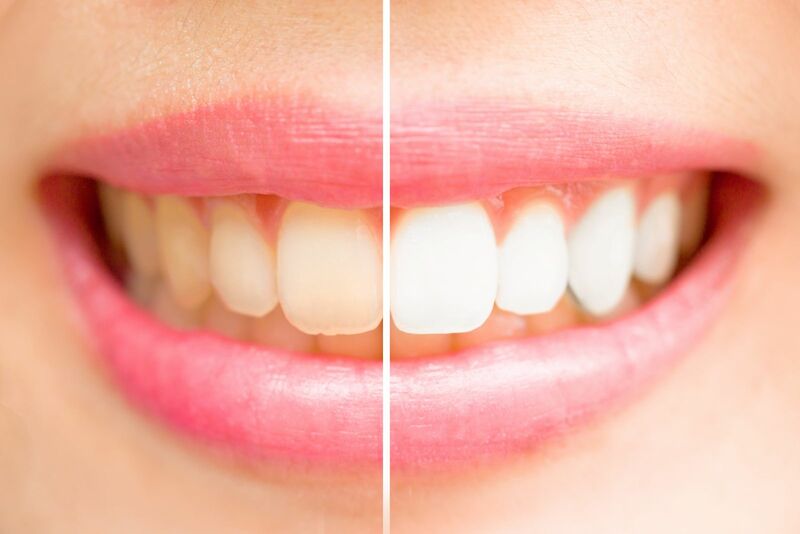 A prescription formula whitening gel (active ingredient hydrogen peroxide) is applied to your teeth by the dentist and a UV lamp is used to help the gel remove stains and discolouration on your teeth. The gel remains in place for 15 minutes while the light is activated and this process is repeated up to three times. Immediately afterwards, a sensitivity-reducing fluoride gel is applied to your teeth.To maintain your bright smile at home, you will also be given a take home teeth whitening kit.